Andrew Mays was invited to apply for a committee chair position at another MUN event in Cluj-Napoca, Romania, in the Fall 2012. If accepted, his trip would be funded by the Romanian MUN. 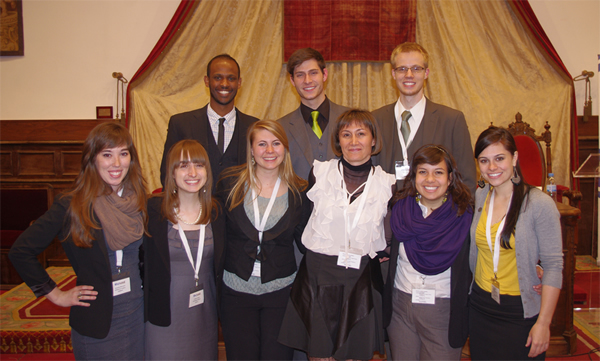 Simoni said the organizers of the MUN in Salamanca declared the Samford team to be "the most well-prepared by far." Simoni described the team's work as "another stellar performance," and noted that "it is through programs like MUN that future generations learn how to debate constructively with fellow peers from all over the world and, eventually, make this world a little better."